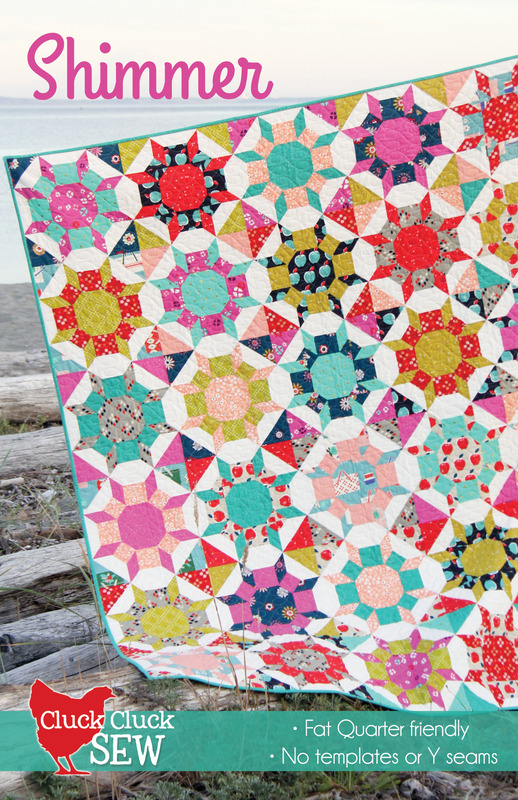 Shimmer is an updated version of Wallflowers, and is fat quarter friendly, without any templates or tricky Y seams. 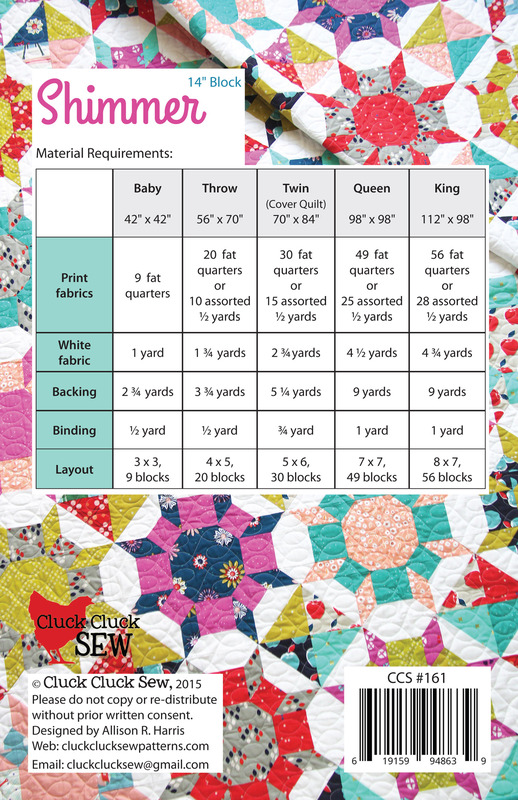 It includes 5 sizes, and the finished block size is 14″. Love the Shimmer pattern but I have a question. In the cutting directions for fat quarters step B says to cut strip 3 1/2 x WOF. Sub cut the strip into 4 strips 3″ x 3 1/2″, and 4 squares 2 x 2. The diagram shows the strip sub cut into 4 3″ squares and 4 2″ squares. I’m confused. Which is correct?